The 21st century is the time of the greatest growth, incomparable to the rest of the history. The number of technological startups in 2017 was truly remarkable. Of course, more and more tech solutions promise to cure the world, providing viable answers to many of the questions concerning the environment, politics, natural disasters and many more. Most of the fresh startups founded by the young and ambitious need financial backing from the outside. Investing into tech startups is a risky endeavor, since it may lead an investor to losing his money. However, it can turn out to be extremely profitable if he plays their cards right. Winning an investor’s approval and getting the necessary funds requires a fresh idea in an industry that is profitable and shows rapid growth. Most investors nowadays see hardware and IT firms as the most attractive ones for investments. A good idea for young inventors is to participate in numerous startup contests and hackathons. Vernadsky Challenge is one such event. It is a contest aimed at engineers who have unique ideas about new inventions in technology. The first ever Challenge was held in 2015 by Max Polyakov, Noosphere Ventures’ managing partner and Dmitry Sholomko, Google Ukraine’s Head. It is held annually, and provides the winners with financial and technological support, as well as project management guidance from Noosphere Ventures, whose overall prize pool is 75 thousand dollars. What’s more, you can get a chance to talk to the professionals in the field and get their qualified opinion. For example, in 2017, Jamie Hyneman was invited to judge the contest. The Mythbusters star is the person whose opinion on your engineering idea you’d really like to hear, don’t you think? Recognising the need for a platform to showcase innovative ideas, Noosphere Ventures and Max Polyakov created a competition for young tech minds. 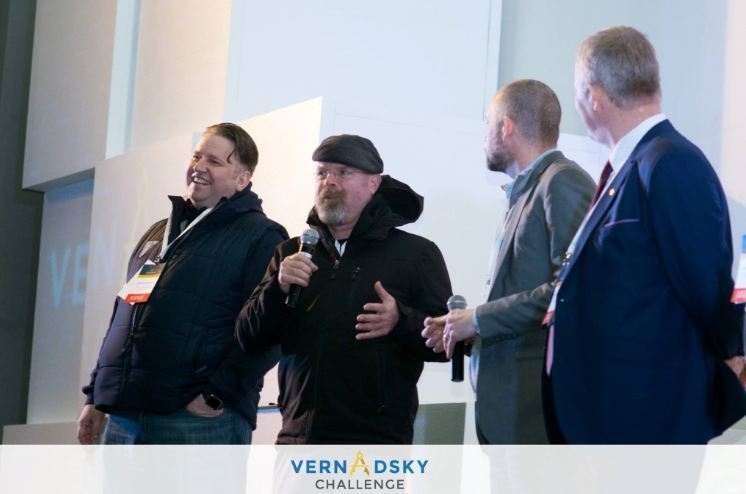 Max Polyakov, the founder of the Vernadsky Challenge’s hosting organization, Association Noosphere, commented that it was a pleasure to organize such an event not only to benefit those who took part in it that day. He also wanted to inspire other young and talented engineers to apply in the next years. Max Polyakov believed that thriving for perfection and integrity contribute to the noosphere and create a new world where knowledge and science dominate all the spheres of life. Creating and maintaining your startup is like managing a boat in a storm: you need to be extremely flexible to the currents and change course if need be. It is also important to remember that you create your products for people, and thus, their feedback is crucial to your success. Listen to them and build customer loyalty by responding to their needs.